We’d love your help. Let us know what’s wrong with this preview of The Perpetual Now by Michael D. Lemonick. In the aftermath of a shattering illness, Lonni Sue Johnson--a renowned artist who regularly produced covers for The New Yorker, a gifted musician, a skilled amateur pilot, and a joyful presence to all who knew her--lives in a "perpetual now." Lonni Sue has almost no memories of the past and a nearly complete inability to form new ones. Remarkably, however, she retains much In the aftermath of a shattering illness, Lonni Sue Johnson--a renowned artist who regularly produced covers for The New Yorker, a gifted musician, a skilled amateur pilot, and a joyful presence to all who knew her--lives in a "perpetual now." Lonni Sue has almost no memories of the past and a nearly complete inability to form new ones. Remarkably, however, she retains much of the intellect and artistic skills from her previous life. As such, Lonni Sue's story has become part of a much larger scientific narrative--one that is currently challenging traditional wisdom about how human memory and awareness are stored in the brain. To ask other readers questions about The Perpetual Now, please sign up. "... hippocampus is highly specialized at creating associations among objects, spaces, and experiences. It helps the brain link all of these elements into networks that help us transform the chaotic jumble of sensory impressions that pour into our brains at every minute into a comprehensible whole. Neuroscientists call this linking capability “relational processing,” and while it’s crucial to our having rich memories of the past, it’s also crucial to integrating experience into the present, and for using it to think about the future." There were parts I really loved about this book, the scientific discussions on brain and function, memory and how memories are made, how injury or illness can change everything. The book is primarily about one women who lost her memory due to illness. Also thrown into the mix is a the famous cases from the 1950's, the case of Henry Molaison who had part of his brain removed. Lots of in depth medical information which I found informative and of interest. I would have liked to have read more about other case histories, and cases where people did over come amnesia, or who did return to full function with or without regaining lost memories. This clearly seemed like a shill for the New Yorker. My opinion aside, It [the book] was a fantastic read. You must want to pick it up if you have some neuroscience to do later. 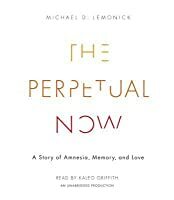 In "The Perpetual Now" Lemonick explores what we know about memory through the case of Lonni Sue, a woman who had viral encephalitis which was cured after severe brain damage, primarily in the temporal lobe (hippocampus). She lives in a "perpetual now" as she cannot retain or make memories. Lemonick discusses what we have learned about memory from her and other famous cases, primarily HM or Henry Molaison. 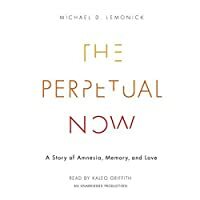 Through these cases he describes that we've learned about "types" of memories and where th In "The Perpetual Now" Lemonick explores what we know about memory through the case of Lonni Sue, a woman who had viral encephalitis which was cured after severe brain damage, primarily in the temporal lobe (hippocampus). She lives in a "perpetual now" as she cannot retain or make memories. Lemonick discusses what we have learned about memory from her and other famous cases, primarily HM or Henry Molaison. Through these cases he describes that we've learned about "types" of memories and where they are created/how they are stored, etc. Although I am not a lay person, I think this book is written rather accessibly to the average reader and it accurately sums up what we know from these specific medical cases. The field of memory research is much larger than clinical cases, but these individuals did give many of the clues and information about what we know about how the brain handles memories today. As a psychology and neuroscience major, I have read about these cases throughout my education. I still find more in-depth explorations, such as through this book, fascinating, but I did not learn anything new from this book. For the scholar, this is a summary, but I think this book is targeted for and will be more informational to the lay person (someone with limited knowledge about these clinical cases/memory). Lonnie Sue became alive to me as I read this story. I was expecting a lot more science. This was almost purely biography. The title of this book caught my eye because I like to read about meditation. This has nothing to do with that. 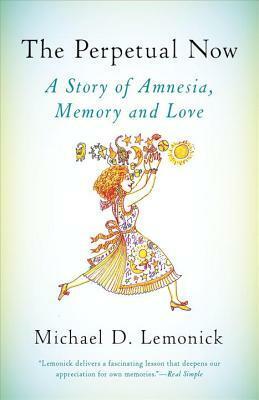 I saw it was about a woman with amnesia so I thought it might be interesting anyway. I have a terrible "episodic memory" (a term I learned from the book) so I'm often interested in learning more about what makes memory work. If you want to learn more about how memory exists neurologically, this isn't the book for you. Scientists are just scraping the surface of the that question and th The title of this book caught my eye because I like to read about meditation. This has nothing to do with that. If you want to learn more about how memory exists neurologically, this isn't the book for you. Scientists are just scraping the surface of the that question and this book doesn't attempt to tell you more than you've read in the latest issue of Psychology Today. It's written for the casual reader. Lonni Sue led a very interesting life before her illness and her case is certainly worth studying. Lemonick is a skilled writer. The book flows well. I dunno, I guess I was in the mood for a more academic book. It's really a perfectly serviceable book, it just didn't exactly light me on fire. I read this as a book club selection. It was a fascinating premise regarding the illness and recovery of Lonnie Sue Johnson who suffered from encephalitis which resulted in damage to her brain's hippocampus. Lonnie Sue was both a musician and an artist prior to her illness. The studies done on her after her recovery. showed what aspects of her former life were retained after such a devastating and debilitating illness. It was intriguing to learn more about how the brain works and how memories ar I read this as a book club selection. It was a fascinating premise regarding the illness and recovery of Lonnie Sue Johnson who suffered from encephalitis which resulted in damage to her brain's hippocampus. Lonnie Sue was both a musician and an artist prior to her illness. The studies done on her after her recovery. showed what aspects of her former life were retained after such a devastating and debilitating illness. It was intriguing to learn more about how the brain works and how memories are formed & stored. I was also enthralled to read about other similar cases such as H.M. Overall, I liked the book and enjoyed reading more about the science of the brain. However, I often times found that the writing was repetitive and long winded. I would have liked there to have been more in depth of Lonnie's life and creativity. I enjoyed this book very much. It is the perfect mix of history, biography and, of course, science. I loved the story behind the science - the persons discussed were remembered and written about with fondness and compassion. I found the research on how the brain/memory works fascinating. While I am educated it is not in this field, yet, as a relative layperson on the subject I found the book to be entertaining, well researched, and educational. A good read. Fascinating. Lemonick brings the reader up-close-and-personal with Lonni Sue Johnson, an artist with profound amnesia, and her family. But he also leads the reader into a compelling history and contemporary status of relevant neuroscience. He thoughtfully probes questions about the mysteries of memory and identity. A book that both moved and taught me. A great resource as I'm researching my latest novel-in-progress. Very well-written story about the case and science behind a recent amnesic. The author is a very good science writer who weaves the story and the science very well. I learned some things about the neuroscience of memory through his descriptions of the studies done with Lonnie Sue and reports of his discussions with neuroscientists as he researched the book. I really liked this book although I got lost and bored a lot. I thought it was really going to focus on one person's journey, but it was way more. I love learning about the brain and how it functions and makes us function, but this was almost too much for casual reading. I'm looking forward to doing my own research on Lonnie Sue, her art, and her life. I thought it was super super interesting! I feel like I should have been a scientist or doctor to understand some of it, but other than that, I loved it. You fall in love with Lonnie Sue at the end of book and it feels like you actually know her! While the focus of the book was Lonni Sue Johnson, there was a lot of information about Henry Molaison, as well, which I'd previously been exposed to--and was delighted to find I remembered! This is an interesting book for those wanting to better understand memory and how it works. What is memory? Lonnie Sue's experience with memory loss provides a clue to what makes memory so important. Fascinating book. It did have some spots that bogged down but very interesting and tragic. Literally had to fight myself to stay with the last twenty pages. Interesting story, TERRIBLE writing.Thank God that's over. An interesting book about a couple of patients (mainly one recent one) whose brain damage has helped scientists better understand how memory works in the brain. At times a little technical but very interesting all the same. I can't imagine how hard it would be to have zero short-term memory. It made me realize that I should take nothing for granted. Amazing read with a lot of information about memory and the brain. The subject is very interesting, but the writing is dry and pretty dull. Thank you Netgalley for this book. Interesting from the point of view of neuroscience! Fascinating story and well told though no groundbreaking thesis.